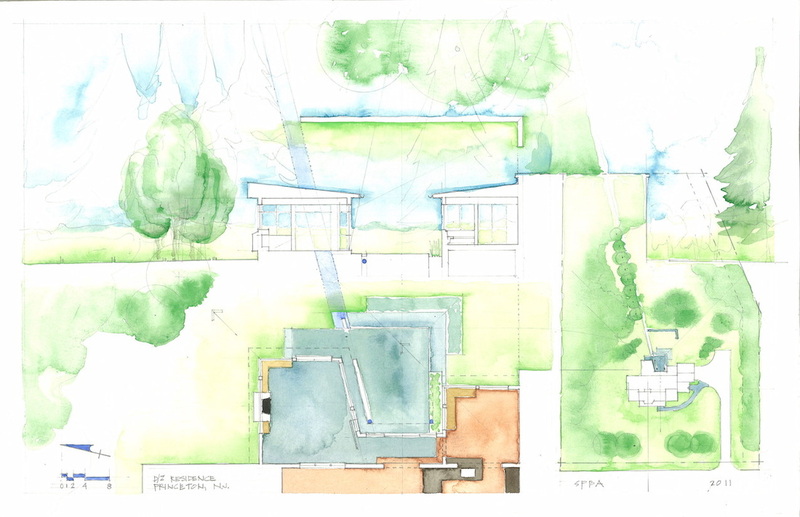 The Master Plan design for this residence includes indoor space, outdoor rooms and landscape. This part of the project is the third phase of a multi-phase project. We plan for future needs while designing the site and architecture as integrated parts of a project.